This is my build log for the Billing Boats 200 Dana, a ketch-rigged Danish fishing boat. 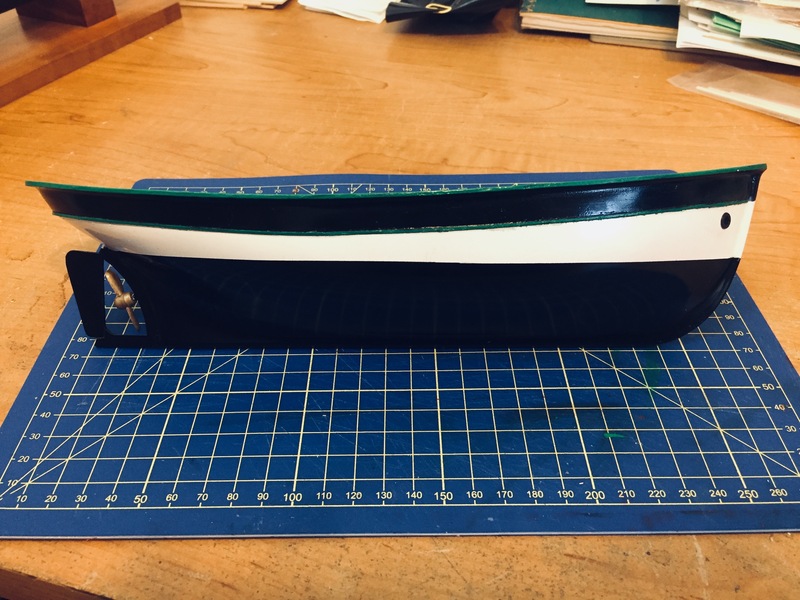 This is one of the most basic and least expensive of the Billing Boats line of kits, and I wanted to build this to learn and document what beginners have to face in constructing one of these kits. Since the platform is supposed to be painted white and the wooden slats or battens are to be left a natural wood color, based on the model photos on the box and in the instruction booklet, it seemed to make the most sense to paint the platform before adding the slats. I did this before gluing the platform into place, leaving the addition of the wooden slats to be dealt with later. Having glued the platform into place myself, I strongly advise placing a small wooden block under the platform. This can be temporarily placed or glued to the underside of the platform. In any case, trim it or sand it until the platform sits at a height and angle that will allow it to fit nicely against the stern. If this is glued on, you can probably just leave it as is or paint it a dark color, so it’s not noticeable under the platform. Another option is to add stanchions under the platform, which might be more correct. In any case, I added mine using a technique that my old high school math teacher would refer to as “brute strength and awkwardness,” just using some tape and holding the part until the glue set. The process made enough of a mess that I had to do some paint touchup, but it worked out. Adding the wooden slats wasn’t that hard. I simply used some contact cement, which will hold well enough given that these parts aren’t under any physical strain. I’m thinking I should touch each one also with a tiny drop of CA to lock them into place. Gluing on the painted surface of the platform isn’t ideal, but the paint is well bonded to the wood platform, and I think the glue will hold to the paint well enough. 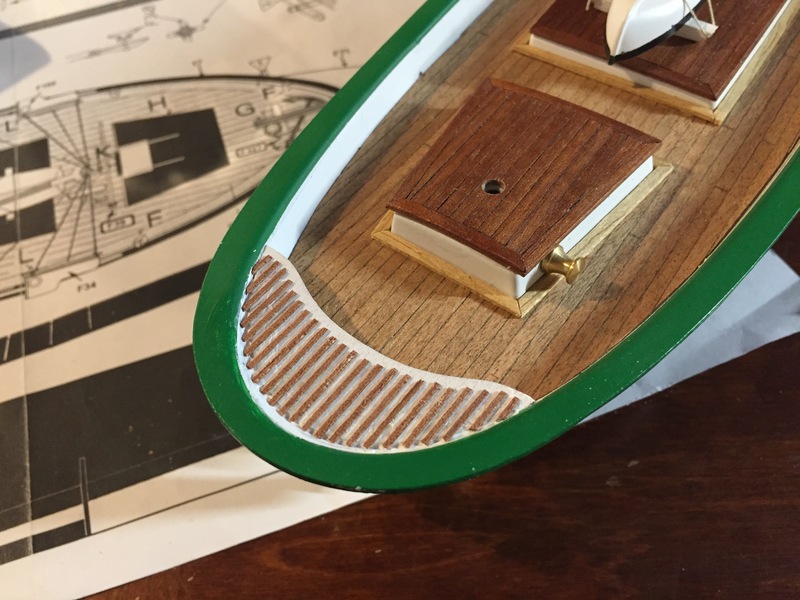 This entry was posted in Billing Boats Dana, Ship Model Build Logs and tagged Billing Boats, Dana, Fishing Boat on March 5, 2019 by catopower. 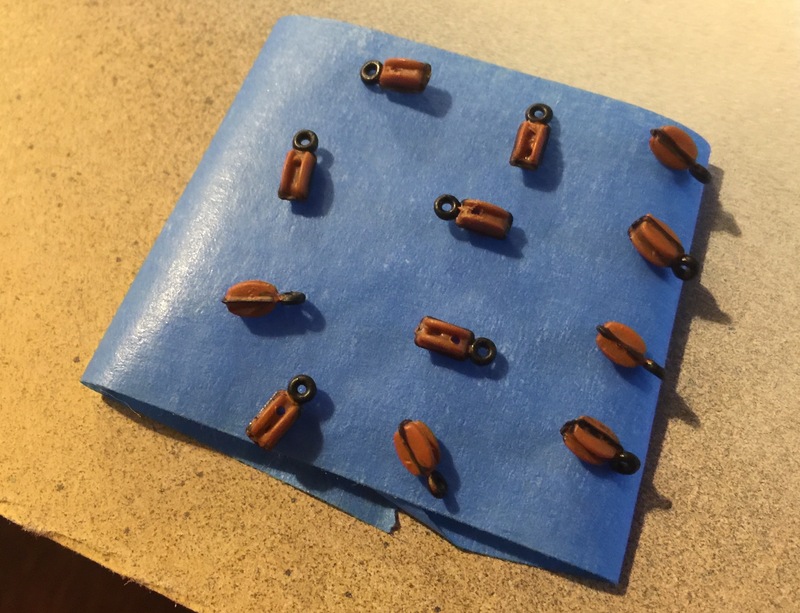 The blocks in the kit are molded in brown plastic. If you want to use them as-is, you can, but I decided to paint mine. I used Billing Boats tan for the wooden block, and Black, #11, for the stropping. Afterwards, I sprayed them with a dull cote lacquer finish. In the end, I think they look pretty decent. Anyway, I think they look good enough that once their rigged, you won’t really notice their plastic without looking really closely. These are then set aside until needed. My kit had 12 blocks in it and it looks like 11 are needed to finish the kit. Now, given how easily I’ve lost blocks in the past, I strongly suggest keeping these safe in a small plastic parts box or zip lock bag or something until needed. 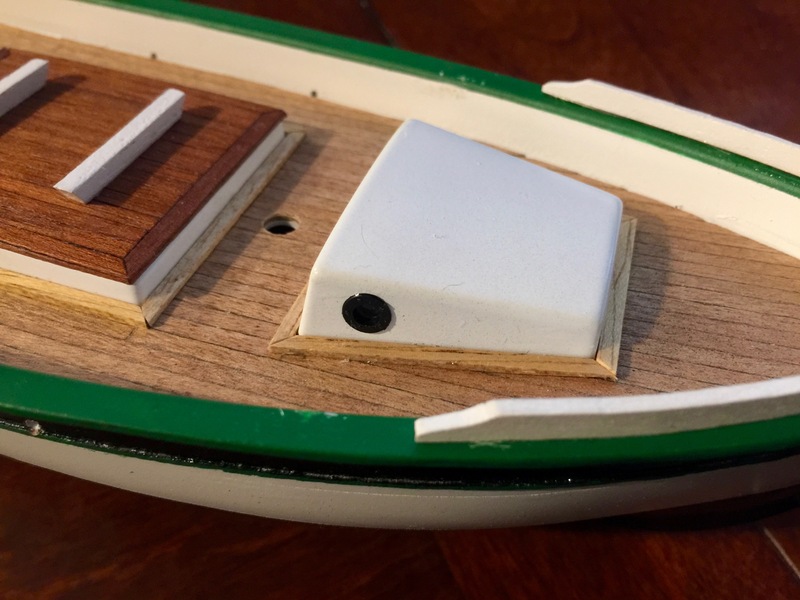 This entry was posted in Billing Boats Dana, Ship Model Build Logs and tagged Billing Boats, Dana, Fishing Boat on February 17, 2019 by catopower. The plastic just needs to be big enough to glue over the inside end of the porthole. 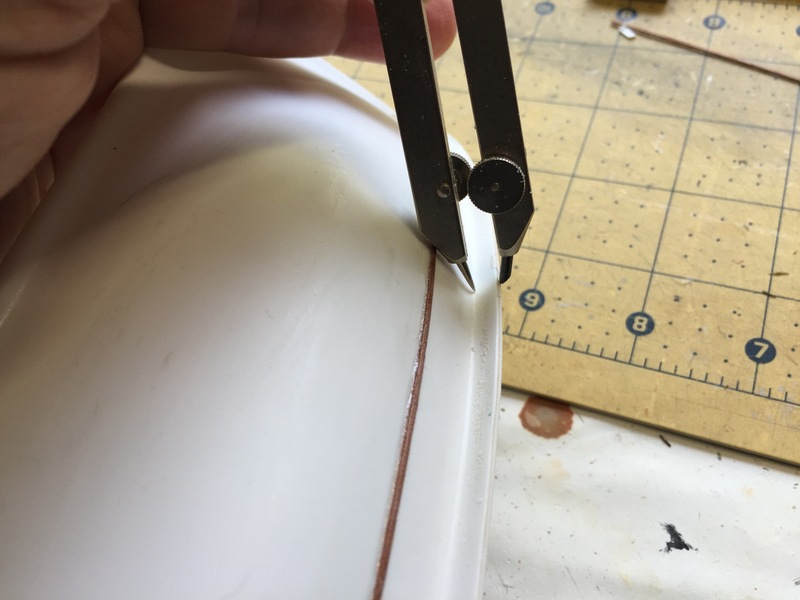 If you glue the piece into place first, after the glue dries, you can then trim off as much excess as you can, to make it easiest to put the porthole into the hole you’ve made for it. For glue, I used a product called Canopy Glue. This stuff dries fast and clear. Other glues, like CA or plastic cement, often mar or fog the clear plastic. This is another one of those things I picked up from the hobby shop. The item is specifically called “Formula 560” which comes in a 2 oz. bottle from a company called Pacer. The portholes come pre-molded in black. They looked pretty good, so I didn’t bother to paint them. This entry was posted in Billing Boats Dana, Ship Model Build Logs and tagged Billing Boats, Dana, Fishing Boat on February 8, 2019 by catopower. The main issue here is really that the shape of the rudder assembly prevents you from mounting the prop in a “nicer” fashion – the top of the prop hits the wooden frame. Really, all you need to do here is shave away enough of that frame to clear the prop when it’s mounted the way you want it. If you build the kit straight out of the box, the prop points downward considerably. 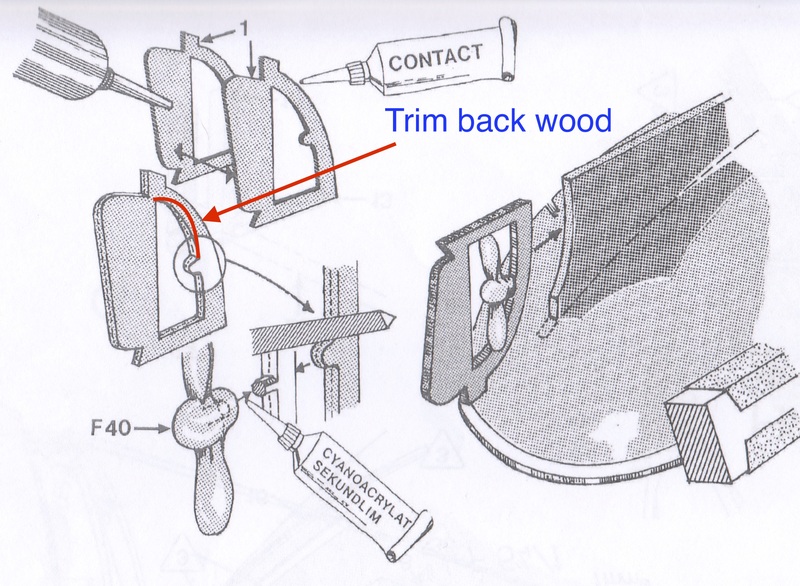 Looking at Billing Boats instructions, you’ll need to trim the wooden frame to adjust angle of the prop. Test fit the prop as you go to see how much trimming you need to do. This entry was posted in Billing Boats Dana, Ship Model Build Logs and tagged Billing Boats, Dana, Fishing Boat on February 7, 2019 by catopower. I happen to have a tool that I purchased from Micromark some time ago that they market as a waterline marker. It’s apparently a repurposed toolmaker’s surface guage, but it certainly works for marking the waterline. This marker uses a metal scribe to mark the waterline, which works pretty nicely on the soft ABS plastic hull. Most waterline markers marketed today, like Amati’s or Model Expo’s, are fitted with a pencil. 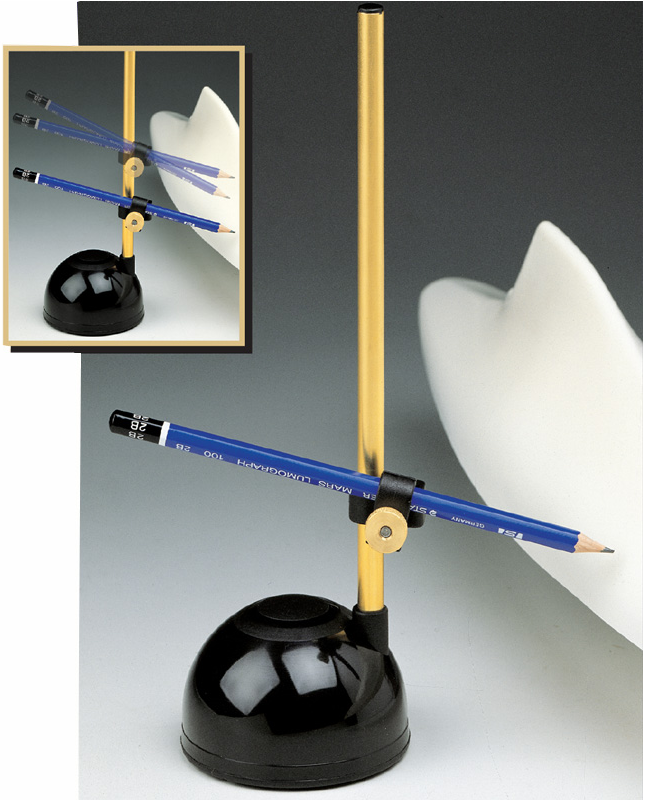 Of course, if you don’t have one of these, a pencil mounted atop a block of appropriate height will do. In any case, the model needs to be sitting so that the waterline is parallel to the work surface. I just used the included cradle to hold the model, though it’s use resulted in a waterline that’s not quite the same as shown on the drawings, but it seemed close enough. This entry was posted in Billing Boats Dana, Ship Model Build Logs and tagged Billing Boats, Dana, Fishing Boat on December 10, 2018 by catopower. After doing all that deck work and planking, the hull work was a nice little change of pace. This kit features an ABS plastic hull that’s been vacuum-formed. It’s a bit different than working with traditional styrene plastic kits. Vacuum-formed parts usually require some trimming, which is true in the case of this kit. The hull itself is one piece, with the deck and deck houses being part of the second half of the hull assembly. Along the edge where the hull pieces meet, the edge is oversized and needs to be trimmed even. I used a drafting compass to check the evenness of the work, trimming with a knife and finishing with a sanding stick. This entry was posted in Billing Boats Dana, Ship Model Build Logs and tagged Billing Boats, Dana, Fishing Boat on October 9, 2018 by catopower. It took me a while looking at the instructions to figure out if the deck on this model is supposed to be planked. I’m accustomed to planking a deck that’s free of obstructions, and the pre-molded deck and deck houses seemed like they would be awkward to plank around. Also, the illustrations in the instructions don’t seem to show any indication that you are expected to plank the deck, though the photocopy-quality photos do show a wooden deck. But, the question is answered in a short paragraph in the instruction text, that clearly states that the deck is to be planked. Also, there are sufficient light-colored wood strips for deck planking. Now, I’ve seen photos of models by people who have laid deck planking right down onto the plastic deck. But if you don’t want to deal with trying to fit the planks in between the deckhouses and such, you might try what I did. I started by making a copy of the deckplan. Turned out to be pretty close to the molded piece. I cut out the deck and openings for the deckhouses and test fit on the model. It took a little extra trimming around the deck houses. This entry was posted in Billing Boats Dana, Ship Model Build Logs and tagged Billing Boats, Dana, Fishing Boat on April 25, 2018 by catopower. There are currently four beginning kits from Billing Boats that feature vacuum formed hulls, and I thought it would be good to do one of these, since this will also give me some perspective on how well suited one of these kits really is for the beginning ship modeler. Two of these available kits are rescue lifeboats and two are fishing boats. It was the Danish, ketch-rigged fishing boat “Dana,” which seemed most appropriate to me. This entry was posted in Billing Boats Dana, Ship Model Build Logs and tagged Billing Boats, Dana, Fishing Boat on April 13, 2018 by catopower.